I have been saying for the past 5 years I have been wanting to eat more raw. If you have been reading my blog posts over the past 3 years, you will see me intermittently post how I started “Raw Monday” or “Raw Wednesday”, but I never maintain it for more than a few months. In January, as I was setting my 2017 goals and for the 3rd year in a row, I wrote down “Eat more raw”. As soon as I wrote it, I started wondering why this was so hard for me. I believe in what eating more raw foods will do for me mentally and physically. I love almost all fruits and veggies and nuts. I looked at my daily meal plans and realized I wasn’t buying many raw foods from the grocery store. Why not? I have no idea. My friend, Wendy, who is my voice of reason, suddenly sounded in my head (or I may have been talking to myself) “If you want to eat more raw, why don’t you just eat more raw?” It seemed TOO simple, but I started! And over the past 2 months, I have eaten more raw than not, and as expected, I feel amazing. My body, mind, and soul have completely responded to my new “mostly raw” lifestyle. This made me wonder why we don’t do the things we know are best for us, that will make us feel good, that will bring us joy or make us happier, healthier, wealthier, etc. It’s too easy NOT to do these things. We get comfortable being comfortable. We aren’t willing to go that little extra step outside our comfort zone to risk possibly being better…of course with no guarantee. We aren’t willing to give up the good to go for the great! We are stuck in a habit. I was in the habit of eating Daiya Foods Vegan Cheezy Mac (yum) after a long workout. I was used to stopping at Del Taco for a bean and rice burrito (or four) after a race. I was in the habit of eating a pint of Ben & Jerry’s Non-Dairy P.B. & Cookies Ice Cream on Friday afternoons. I was in the habit of eating popcorn at the movie theater. So it never even occurred to me to trade any of these old habits out for new habits that serve me better and move me more toward my ultimate life/health goals. So next time you are looking at a goal you have (or have had for years or decades) that you aren’t getting anywhere with, ask yourself if it could be one of these two things holding you back. Awareness is the key to change. 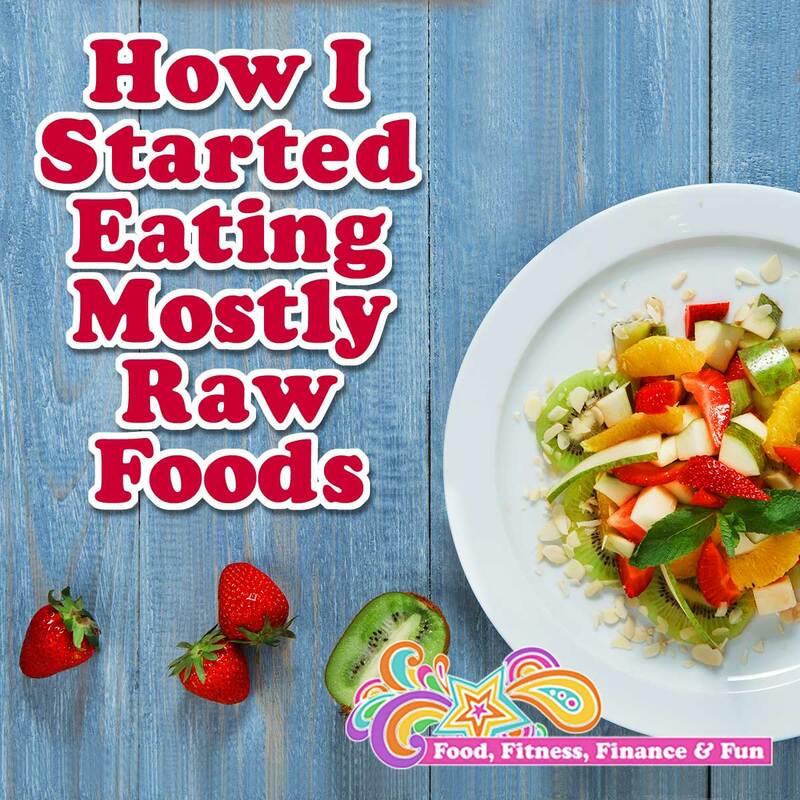 As soon as I made myself aware that I “wanted” to eat more raw but wasn’t’ really taking the actual steps to “eating” more raw, everything changed. And it actually WAS simple! And easy. And beneficial. And exactly what I needed! Of course I already knew that. Don’t be afraid to give up the good to go for the great! Keep it simple. I tried to make it too expensive and complicated at first by following 3-4 new recipes a day. Now I primarily eat fruits, veggies, and nuts. Just plain. Simple. Start with one meal a day, not a whole “Raw Wednesday”. I made the mistake of designating an entire day. Now I know I do better just a meal at a time. So that way if I love a certain food each day, like Shakeology, I can still drink it every day. It throws me off when I miss a whole day. Baby steps. Like always in my life. When I started actually having success with this, it’s when I slowed down and took baby steps. I started replacing one snack a day with fruit, veggie, or nuts. And kept everything else the same. I eased into it by taking out the “chickn” from my vegan Caesar salad but kept the “cheese”. Little changes add up to big changes…ALWAYS! And above all, like anything, be patient, forgiving, and gentle with yourself. You’re making these changes to better yourself, not to beat yourself up when you make a mistake. And PS…you WILL make mistakes.